'Serious Electro Vol 2' is the second installment in this best-selling series from Famous Audio - featuring 670MB full of complextro and dubstep influenced dirty basslines, huge sleazy synths, super stereo chords & leads, crunchy vocal cuts, crazy effects and more… you will have all the material you need to create exciting, mind-bending tracks!! In detail this pack includes, 105 monstrous loops locked at 128BPM + 115 ear smashing oneshots for better workflow. You can slice, change, mash and even combine them. Loops folder contains; 40 Bass Loops, 55 Synth Loops, 7 Fx Loops and 3 Vox Loops. Oneshots folder comes with; 50 Bass Hits, 30 Synth Hits, 20 Fx Hits and 15 Vox Hits to create your own sequenced beat. If that wasn't enough there is 1 inspiration kit consist of 9 Loops and Samples. 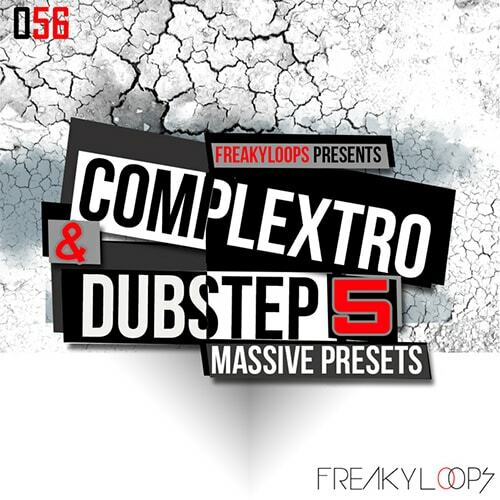 Also you get 15 Loops and 15 Massive Presets as a BONUS. All loops & samples are key and tempo-labelled for flexibility. "Serious Electro Vol 2" provides you with that current electro sound that rocking the dancefloors today. Inside you' ll find everything from deep, distorted, wobbles basses, filthy robo-basslines to ultra clean and sharp leads, sleazy synths or stadium-sized pads. Also included are dirty, massive leads created for producers who want to make a real club banger. If you are a Complextro, Dubstep or Electro House producer looking for next generation sounds and samples to merge into your music and to take your production level up a notch, then you should definitely spend some time with this pack.. It's time to make your track stand out! Please Note: Requires Native Instrument Massive 1.3.0 or higher to use BONUS massive presets.